I’ve been looking over the blog and I found it fascinating. Historical novelists are important in shaping the way we interpret the past, sometimes more so than historians. Using a blog to create an in-depth investigation of a prominent historical novelist’s life, work, and opinions is a great idea. Head on over there and check it out for yourself. This is just a quick note to address an apparent glitch that happened sometime yesterday. Some of you may have stopped by yesterday to find the blogroll missing from the front page. This was not intentional. I had no idea my blogroll had disappeared until I logged on last night to publish a post I’d been working on, and I freaked out. I’m still not sure how it happened, but I fixed it and it’s back where it belongs. I can assure all my fellow history bloggers that I haven’t dropped your sites from my page, and I have no plans to do so. When I went to Springfield a few years ago, one of my priorities was to make the short drive up to Lincoln’s New Salem State Historic Site. I hit a lot of Lincoln sites on that trip—the Presidential Library and Museum, his home, his law office, his tomb—but New Salem was pretty hard to beat. Since I was going to be in the neighborhood, I wanted to see the burial place of Ann Rutledge, arguably New Salem’s most famous resident besides Lincoln himself. She was the daughter of one of the town’s most prominent citizens and, according to some historians, Lincoln’s first love interest; her death in August 1835 supposedly threw him into a deep depression. Of course, all this is controversial. William Herndon, Lincoln’s last law partner and one of his early biographers, first promoted the story of Abe’s doomed romance with Ann, which he pieced together from interviews with people who knew them. He went so far as to argue that Lincoln never really loved anyone else, which predictably went over badly with the woman he actually did marry. The story took on a life of its own, becoming a staple of many popular reconstructions of Lincoln’s early life. Things changed in the mid-twentieth century, due to the work of James G. Randall, author of Lincoln the President. Both Randall and his wife Mary (biographer of Lincoln’s wife) became vocal critics of the Ann Rutledge legend, arguing that the story was just sentimental nonsense whipped up out of Herndon’s dislike for Mary Todd Lincoln. Since then, scholars like Douglas Wilson and John Walsh have given Herndon’s evidence some fresh attention, although there are still skeptics. Having read quite a few secondary studies as well as the testimony collected by Herndon, I’m pretty convinced that Lincoln and Ann were close, and perhaps even had some kind of tentative agreement to marry, as Herndon related. I also don’t doubt that Ann’s death was a serious emotional crisis for Lincoln. But I think the idea that he never loved anyone besides her is totally unwarranted. His willingness to wed Mary Owens shortly after Ann’s death, and his affectionate (if difficult) marriage to Mary Todd, indicate that he was capable of moving on. I think Herndon was guilty of overstatement and exaggeration, but not outright fabrication. Whatever turn scholarship takes, out there in the realm of popular memory a lot of people seem to have made up their own minds. They’re not just sure that Lincoln and Ann fell in love; they’re equally sure that they were destined to be together. While browsing online for directions, I found that both burial sites, the original one and the current one, are featured on a site called Find a Grave. It’s a database for information on the burials of the famous and the non-famous, where you can see pictures, read bios, and even leave virtual “flowers” and a note of remembrance. When I stumbled across Ann’s two graves, I started browsing through the comments people had left behind. They were interesting reading. “ABE WAS SO LUCKY TO HAVE YOU AS HIS GIRLFRIEND AND YOU WERE AN ANGEL TO LOVE HIM. I SINCERELY BELIEVE THAT BOTH OF YOU ARE REUNITED IN GOD’S PARADISE AND ARE ETERNALLY HAPPY,” reads another. What fascinates me about this is that it’s an exercise in democratic history. Anybody and everybody can leave a virtual flower and a note. Find a Grave doesn’t require citations, primary sources, or an institutional affiliation. It’s pure, unfiltered popular historical memory. And they reveal that a lot of people are perfectly willing to adopt the whole Ann Rutledge legend in its entirety, in the form Herndon told it back in the late 1800’s. For these people, Lincoln and Ann didn’t just have a relationship. They believe she was the one love of his life, that they were meant to be together forever, and that in fact they now are. What this suggests to me is that historical scholarship’s impact on what people actually believe is often limited. Historians and researchers can weigh evidence, make qualifications, and reach theri careful conclusions. Most people, meanwhile, will believe whatever seems right to them. What evidently seems right to many is the idea of a tragic hero who’s finally reunited with the young woman he should have had all along, whether historians agree or not. The Abraham Lincoln Presidential Library and Museum in Springfield is selling a cookbook with recipes supplied by volunteers and staff, with proceeds to benefit the facility’s programs. As a fundraising tool for a massive, high-tech, multi-million-dollar museum, this seems a little odd. One of the women’s groups at my church did this exact same thing. Maybe the Smithsonian should hold a car wash on the National Mall. During the Civil War a few hundred women disguised themselves as men and fought as soldiers. We know some of their names—Sarah Edmonds, Jennie Hodgers, Frances Clalin. In some cases, we have photos, we have pension documents and other records, and we have enough biographical information to reconstruct their life stories. So if you said that “women fought in the American Civil War,” you’d be right, at least in a very limited, literal sense. But in a larger and more meaningful sense, of course, you’d be wrong. Women fought, but in miniscule numbers, and against official policy. If we’re trying to make general statements that really help us understand the war, then “women fought in the American Civil War” doesn’t get us very far. These women are interesting figures, and they might reveal something by being exceptions to the rule, and that’s about it. At the risk of beating a dead horse, here’s why I bring this up. 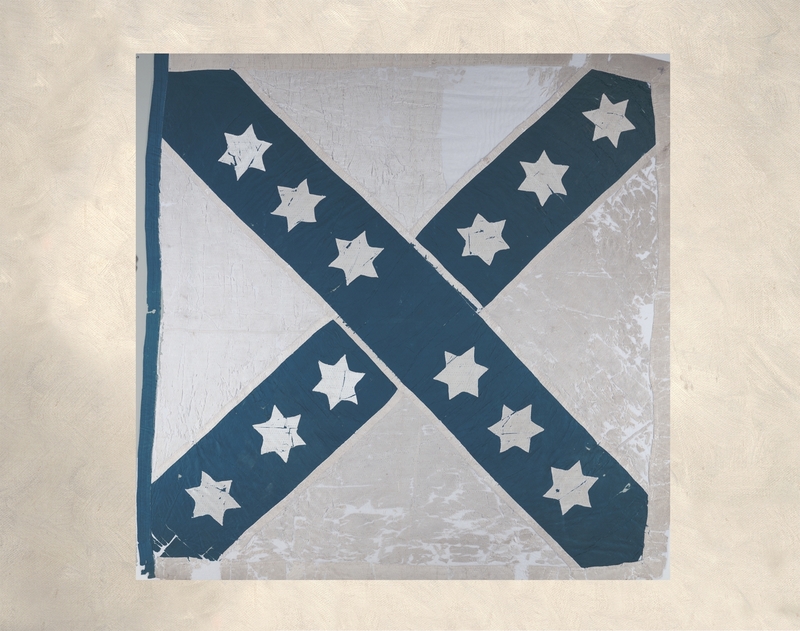 It bears on the heated discussion of black Confederates troops that’s been roaring through the blogosphere, especially on Kevin Levin’s Civil War Memory blog (see here, here, and here), but also on other history blogs (here and here). When we’re talking about black Confederate soldiers, it’s all about the numbers. If you read statements in favor of the idea of widespread black participation in the Confederate armies, you’ll notice an unhealthy reliance on anecdotal evidence. It’s always this first-person account from somebody’s ancestor, or that veteran honored at a ceremony decades later. This simply won’t do. The question isn’t whether or not there were occasions when African-Americans attached to Confederate forces fired shots in combat. Such incidents could be nothing more than bizarre aberrations. What’s important is whether or not there’s a pattern behind these incidents. And a pattern can only be established with some hard numbers. Unfortunately, many sources seem to pull the numbers out of thin air. We get wildly varying estimates, with no explanation of how they were tallied. One website estimates that “over 65,000 Southern blacks were in the Confederate ranks. Over 13,000 of these, ‘saw the elephant’ also known as meeting the enemy in combat.” Does “in the ranks” mean actually enlisted? Soldiers aren’t the same as body servants, labor levies, free black sutlers or cooks, and others who accompanied the armies but didn’t serve. Another website guesses that the figure could be “anywhere from 30,000 to 100,000,” an estimate so broad that it’s virtually meaningless. By way of contrast, take a look at this post from Civil War Gazette. This piece claims that “as little as under a hundred to as many as several hundred blacks may have actually engaged in combat for the South during the Civil War by actually carrying and discharging a weapon.” The implications of figures like these are radically different from those quoted above. What many supporters of the “black Confederate soldiers” notion are trying to achieve is a paradigm shift. They want to challenge our notion that the war was fought over slavery and that the Confederacy’s aim was to preserve it. If thousands upon thousands of black soldiers fought for the South, then we may indeed the makings of a paradigm shift—a Confederacy that relied heavily on black manpower to fight for its independence would be an interesting thing indeed. If only a few hundred fought, we have nothing more than a curiosity. We’d be talking about such a tiny percentage of the armies that it would have no real impact on our larger understanding of them. The percentages would be comparable to those of women who fought in disguise, so it would make as much sense to argue that the Civil War was a co-ed affair. Proponents of the notion of hordes of black Confederate combat troops need to show us where they’re getting these tens of thousands. Give us some serious, transparent analysis, and then we’ll do business. I just heard from a fellow named Russ Grimm, an instructor with American Military University who’s got a blog called My Military History. It’s pretty darn interesting. I’ve added it to my blogroll, I’ll be reading it frequently, and I recommend it to anyone interested in the history of warfare. Check it out. One blog I always look forward to reading more than most others is Kevin Levin’s Civil War Memory. I enjoy it as much for the active discussions in the comments as much as for Kevin’s invariably well-written and insightful posts. One topic which always generates a lot of reaction at CWM is the subject of black Confederates. Few historical topics stir up so much…well, horse-flop, for lack of a better term. Black Confederates are to American history what the Chupacabra is to zoology, hovering in that misty no man’s land between solid historical content and pseudo-historical memory. We desperately need more high-quality, rigorous work in this area, and nobody has been more persistent in calling for it than Kevin. The problem with this issue is that so much of the evidence gets distorted and overstated, making it hard to arrive at any rational conclusions about the actual roles which blacks had in the Confederate armies, and in what numbers. I think it’s pretty clear that a lot of African-Americans accompanied the armies for work details and as servants, and I don’t doubt that some black men saw action from time to time, under certain circumstances. I couldn’t agree more. It’s important to set the record straight when it comes to history, particularly when it comes to a myth as persistent as the notion of hordes of black Confederate troops. But using the coercive power of the state isn’t the way to do it. For another thing, the legal approach is kind of, you know, unconstitutional. There’s that to consider. The historian’s tools are, as Lipstadt said, history and truth. If the weight of the evidence and the employment of reason lead inexorably to a conclusion, and they still fail to convince someone, then they just won’t be convinced. The problem then will be one of perception, not historical interpretation—and certainly not one of law. The historian’s job is to examine the evidence with a clear mind, find the explanation that best fits that evidence, and then present that explanation. I’ve got enough faith in the discipline to think that sooner or later the best hypothesis will come out on top.